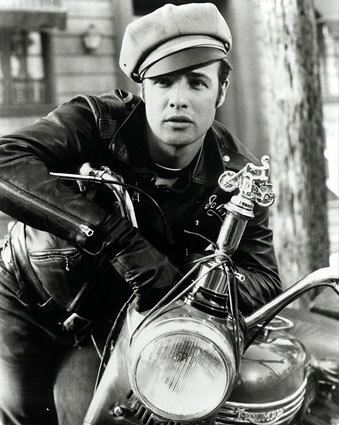 Answer: The pic is of Marlon Brando in The Wild One. The song is by Black Rebel Motorcycle Club. The band take their name from the from Brando’s motorcycle gang in the 1953 film. Cracked by Praneetha, Rosh, Easwar, Rajib and Nirad. Black Rebel Motorcycle Club. The band takes its name from Marlon Brando’s motorcycle gang in the 1953 film The Wild One. The song is “There ain’t no easy way out” by the band Black Rebel Motorcycle Club. The band got its name from Marlon Brando’s motorcycle gang in the movie The Wild One.